Great visionary Atal Bihari Vajpayee’s dream of East West Corridor connecting Silchar and Porbandar remained unfulfilled till his death. Courtesy — lackadaisical attitude of the respective governments in Assam and bureaucratic red tapism. On October 10, 1998, Late Prime Minister Atal Bihari Vajpayee had announced the project as part of which Silchar will be connected with Saurashtra via roadway. The idea was mooted by the Vajpayee government to transform the road infrastructure of the interiors of the country. A decade down the line, the progress of the project in Assam has left a lot to be desired. The six-lane 3,300-km long East-West corridor linking Silchar to Saurashtra has hit many roadblocks in Assam. For example, the work on the 32 kilometre long Silchar – Udharbond section began in September 2004 with the contract going to infrastructure major Punj Lloyd. The work was supposed to be completed by September 2007 but missed the deadline. 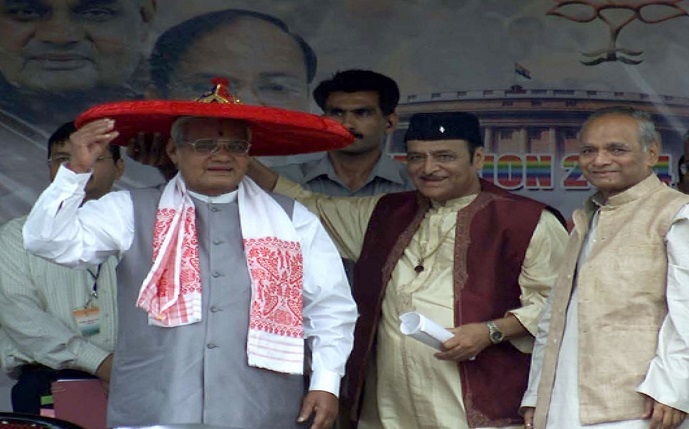 Atal Bihari Vajpayee along with Late Dr Bhupen Hazarika. UB Photos. 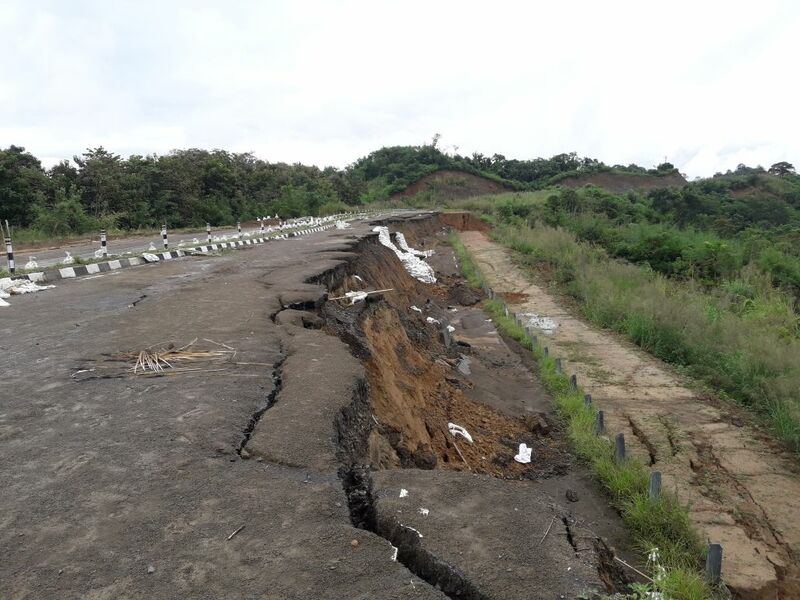 The 400 kilometre stretch connecting Silchar with Guwahati has been riddled with a plethora of problems right from the launch of the project. All the districts through which the highway passes through showed a callous attitude to acquire the required land for the project. The road between Balacherra-Harangajao is in terrible condition in many locations, including Durbin Tilla, Devinala, Harangajao and a few others. Some portions from Harangajao to Mahur are in a shambles too. The road in those locations has many deep pits besides craters and its condition becomes horrible during monsoon when chances of mishaps are always there. Bureaucratic red tapism and dilly dallying attitude of those at the helm of affairs in Dispur are also responsible for the completion of work in Assam. This can be gauged from the fact that the work for the first package of this stretch between Silchar and Udharbond began in September 2004, a good five years after the formal launch. Recently the Centre has earmarked Rs 818.44 crore for the corridor project but progress of work is very slow. Around Rs. 576.30 crore will be spent on constructing a four-lane road along the Borail wildlife sanctuary. The question is —Will the BJP government rise from stupor to turn Vajpayee’s dream into a reality?